Posted on April 22, 2019 by treelawyer	tagged. In the legal world, a “deep pocket” – or sacculus profundis for you Latin scholars out there – is a defendant who possesses the wherewithal to pay a big damage award and who has the misfortune to be related to the plaintiff’s claim sufficiently enough to get a court to order the purse to be opened. Generally, the deeper the pocket (and the greater the dearth of alternative deep pockets), the more willing a plaintiff is to stretch the claim to encompass the deep pocket’s participation. 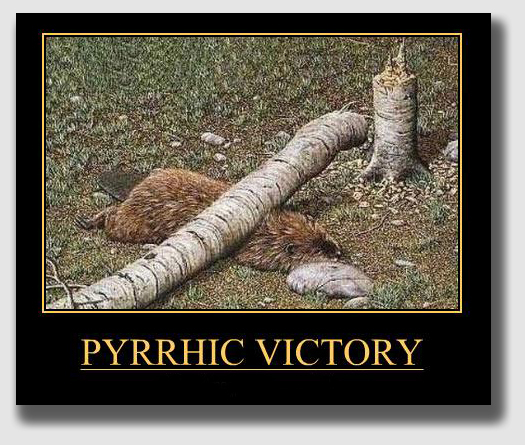 Today’s case illustrates the point. The Nelsons needed to have their trees trimmed, so they called Julian Rodriguez Landscape and Tree Service, the same tree service they and their neighbors had used many times before. 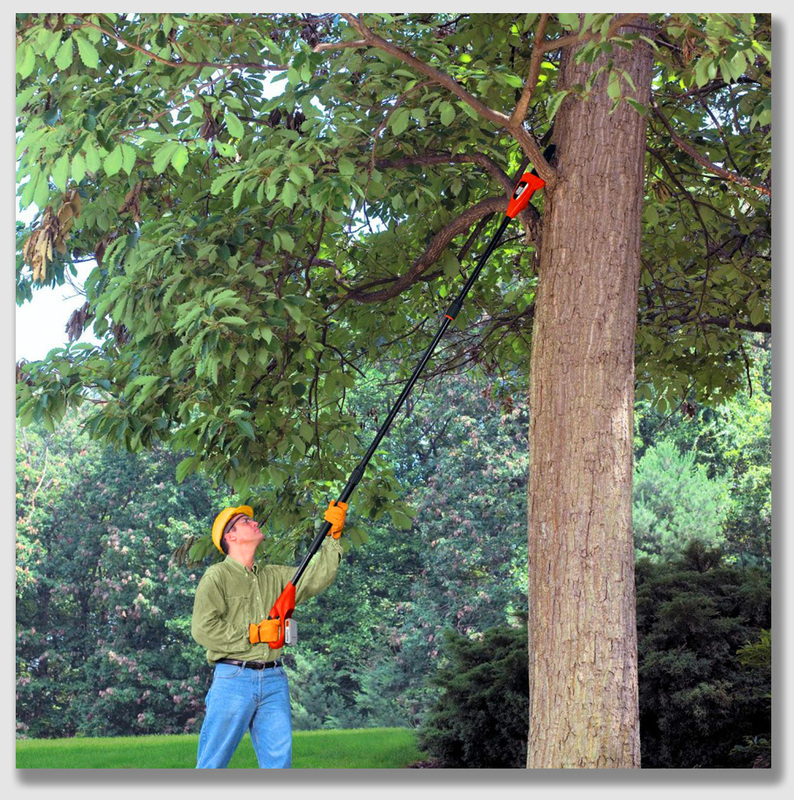 The outfit seemed competent and efficient, and the Nelsons found over the years that they could simply tell the tree service owner what they wanted, and he’d make the decisions on how to do it. During the course of the Nelsons’ dealings with Rodriguez Landscape, no one had ever asked whether the company was licensed. That, after all, was more a state requirement than a practical one. Julian Rodriguez Landscape and Tree Service did good work, and the price was right. What more does a homeowner need to know? On the day in question, however, things didn’t go so well. Luis Flores, one of Julian’s workers, was using a polesaw when it came into contact with a high voltage line, killing him. Unsurprisingly, investigation bore out that Rodriguez Landscape had cut a few corners, technicalities such as obtaining a state license and paying workers’ compensation on its employees. Sadly, the late Mr. Flores left a family was left without a breadwinner, and no money would flow from the nonexistent workers’ comp to compensate the survivors for their loss. Luckily for the Flores next-of-kin, they hired a creative personal injury lawyer whose ad probably ran on daytime TV and appeared on the back of the phonebook (remember phonebooks?). Their lawyer correctly identified the Nelsons and their homeowners’ insurance policy as the only money tree available for trimming by the Flores family. Thus, he put together a wrongful death action for the family that argued that (1) under California workers’ comp law, homeowners who hire unlicensed contractors are deemed employers of the contractors’ workers for workers’ comp purposes; and (2) an obscure California criminal statute made workers and employers criminally liable if any tools came within six feet of a high voltage line. Therefore, the Flores’ legal theory went, the Nelsons – as de facto employers of Mr. Flores – were liable to his family because he died when he touched the high voltage line. The Flores family couldn’t sell this very creative theory to the trial court, but the California Court of Appeals loved it. Unhappy with the gossamer thin argument connecting them to Mr. Flores’ accident, the Nelsons took the issue to the California Supreme Court. The California Supreme Court let reason prevail. The purpose of the statute, the Court said, was to protect third parties from injury because a tree trimmer’s equipment comes into contact with a high voltage line. The statute was never intended to protect a worker who foolishly contacts a power line by letting him or her collect from the employer for the worker’s own negligence. That being the case, the Court said, it wasn’t necessary to figure out whether the homeowners would be considered Mr. Flores’ employer as a matter of law. Proper use of a polesaw … which did’t happen in today’s case. A lesson here: In California – in fact, anywhere – a prudent homeowner will make sure the arborist or tree service contractor is licensed, regardless of whether a license has anything to do with competence or skill. And service providers should volunteer to customers proof of their credentials, not just because it looks professional, but because it’s the kind of attention to detail now that helps avoid lawsuits then. Julian Rodriguez didn’t pay attention to detail, and the Nelsons never asked. Years of expensive litigation resulted, and at the end of the day, the Flores widow and kids were left destitute. In fact, the only people who were better off for it all were the lawyers. Ramirez v. Nelson, 44 Cal. 4th 908, 80 Cal.Rptr. 3d 728, 188 P.3d 659 (Sup.Ct. Cal. 2008). Homeowners Thomas and Vivian Nelson had a number of trees, including a large eucalyptus tree, in their back yard. Every few years, Southern California Edison trims the eucalyptus tree trimmed so that its branches do not reach the very visible high voltage electrical lines that run above the tree. When Southern California Edison’s tree trimmers gave the Nelsons notice they would trim the eucalyptus tree in 2004, but failed to show up when they were expected, the Nelsons hired Julian Rodriguez Landscape and Tree Service — an unlicensed contractor, although the Nelsons didn’t know this — to “top” and trim several trees in their backyard, including the eucalyptus tree. The Nelsons and their neighbors had used Rodriguez Landscape four or five times in the past to top and trim trees, and everyone thought the company did professional work trimming trees. The Nelsons left it to Rodriguez’s good judgment as to how, or to what height, to top and trim the trees, and they neither supervised the trimming, nor did they furnish the tools for the job. A few hours after the job began, Mrs. Nelson heard men shouting and saw them running to the eucalyptus tree. She went out onto her deck, and saw tree trimmer Luis Flores hanging in the eucalyptus tree from his safety harness. He had been had been killed by electrocution when his polesaw – made of aluminum and wood – contacted the power lines. Luis’s family sued the Nelsons, alleging negligence and wrongful death. The Flores argued that the Nelsons knew the high voltage lines constituted a dangerous condition on their property, knew the utility company responsible for the power lines had in the past trimmed the tree on which the decedent was working when electrocuted, and knew or should have known Rodriguez and his workers were unlicensed contractors. Nonetheless, the Flores asserted, the Nelsons negligently failed to warn or act as reasonable homeowners would have acted under similar circumstances in contracting with Rodriguez to trim the tree in question. The Flores family argued that California Penal Code §385(b) made it a misdemeanor for any person, either personally “or through an employee,” to move any tool or equipment within six feet of a high voltage overhead line. They contended that the late Mr. Flores had been the Nelsons’ employee by operation of law under Labor Code §2750.5, making the Nelsons vicariously liable for any breach of the duty of care embodied in the law. The Nelsons argued they had hired Rodriguez Landscaping to perform domestic tree trimming services, that Mr. Flores was contractor Rodriguez Landscaping’s employee, not theirs; that they didn’t owe him a duty of care under §385(b), and that the duty of care owed to him was simply that of reasonable homeowners acting under circumstances similar to those giving rise to the fatal accident. Mr. Flores’ status as the homeowners’ “employee at law” under Labor Code §2750.5 was pivotal to the contested claim that the homeowners should be found liable. The trial court refused to allow the plaintiffs to refer to Mr. Flores as the Nelsons’ employee, and refused jury instructions on Penal Code §385(b) or plaintiffs’ proposed negligence per se theory of the case. The jury found for the Nelsons. The Court of Appeal reversed the judgment, concluding Mr. Flores was the Nelsons’ employee at law under Labor Code §2750.5, and that Nelsons were liable for violating the statutory duty of care embodied in Penal Code §385(b). The Nelsons appealed to the Supreme Court of California. Held: The Nelsons were not liable. 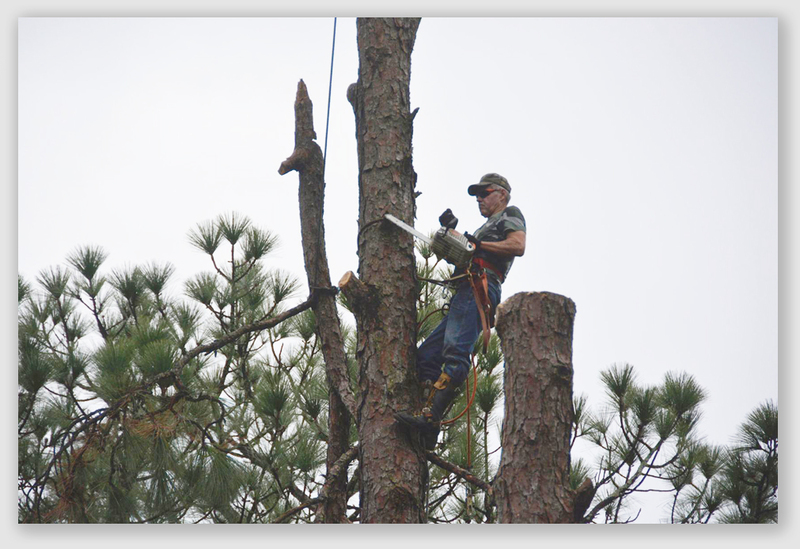 The Supreme Court held that even if they were deemed to be the employers of Mr. Flores because they had hired an unlicensed contractor to trim trees — for purposes of liability for workers’ injuries — they owed no statutory duty of care under Penal Code §385(b). Under the test for a statutory presumption of a failure to exercise due care based on violation of a statute, the Court said, a trial court must determine as a matter of law whether the death or injury resulted from an occurrence of the kind which the statute was designed to prevent, and whether the person suffering the death or the injury was one of the class of persons for whose protection the statute was adopted. If a plaintiff is not within the protected class of persons that a statute was designed to protect, or if the injury did not result from an occurrence of the nature which the transgressed statute was designed to prevent, then the statutory “negligence per se” doctrine has no application to the negligence claim. 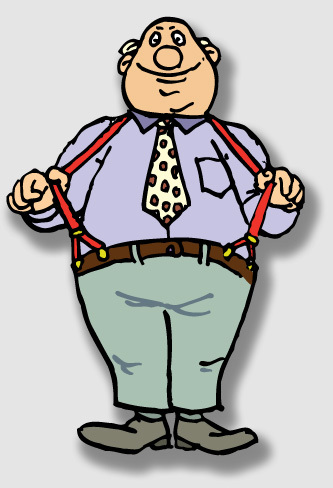 The “reasonable man” – he wears both a belt and suspenders. Here, the statute prohibiting moving tools and equipment within six feet of power lines augments the common law “reasonable person” standard of care owed to the general public with regard to the activity of moving or operating equipment in close proximity to power lines, by setting forth a standard of care making it a misdemeanor to move or operate tools and equipment within six feet of a power line, and by assigning strict liability for its violation. The standard of care imposed by the statute amplifies the duty owed by people using tools or operating equipment near power lines to anyone in the world at large who might be injured by such conduct. However, it did not protect Mr. Flores from himself, and it certainly did not create a separate duty or standard of care owed by an employer to an employee engaged in the operation of tools or equipment in close proximity to high voltage lines. The statutory standard did not prescribe any particular course of conduct employers must take, or refrain from taking, in order to ensure their employees’ safety, or establish any standard of conduct with regard to supervision of employees engaged in such activity. Q: My neighbor’s pepper trees have encroached on my property and caused significant damage to my pool and deck. He agreed to remove the trees if I proved they caused the damage, and I did that with multiple arborist reports and a civil engineer’s report. He has since put his house up for sale; he’s currently in escrow. There is an open claim with his insurance company, which is accepting liability for the damage. But they won’t cover tree removal, and without that, the encroachment and damage will continue. Posted on April 19, 2019 by treelawyer	tagged. 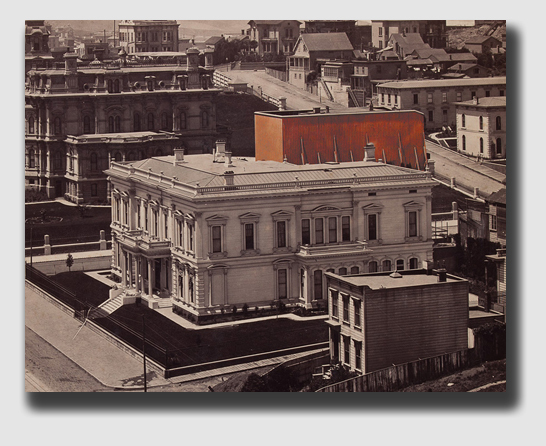 Ever since the first recorded “spite fence” – not including Hadrian’s Wall – was first used by San Francisco millionaire Charles Crocker to try to force a neighbor to sell his property for the construction of the Crocker Mansion – “spite fences” have required intent. You have to intend to harass a neighbor with the fence. And if you set out to harass and oppress, it’s not terribly likely that you’re going to be brought up short by some man or woman in a fancy black robe. The Court did what courts do – used procedural rulings to achieve substantive ends. The Court ruled that the Gertzes were trying an “end run” on the prior decision, when they should have raised the reduced height on appeal. Thus, the Gertz motion was thrown out. The Court made clear that the Gertzes’ real problem was that they hadn’t read the 2008 order carefully: it wasn’t the height of the fence alone, it was the intent and the ugliness that made it a “spite fence.” It was still a “spite fence,” albeit it a shorter one. The fence still had to go. Gertz v. Estes, 922 N.E.2d 135 (Ind.App. 2010). The unsavory neighbor Gertzes had been told to take down the “spite fence” which separated their home from the Estes property. The fence was a doozy, too – while the Gertzes had gotten permission from the town to build a 7-foot tall fence, they had put up an 8-foot fence just a few inches from the property line, studded it with thousands of nails protruding on the Estes side, painted “no trespassing” and “do not climb” notices all over the fence, and equipped the structure with surveillance cameras. There was a PA system, too, which the Gertzes used to make disparaging comments to and about the Estes family on various occasion. 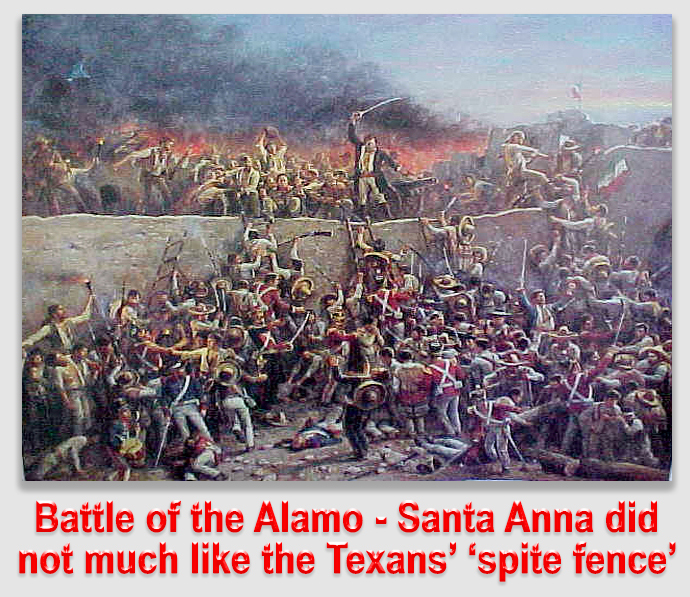 After a bench trial, the trial court found that the “fence was maliciously erected and now maintained for the purpose of annoying the Estes family” based upon the “course of conduct exhibited by Gertze [sic] toward Estes.” Holding that the fence was thus a nuisance, the court ordered the Gertzes to remove it. For good measure, the judge found that the “surveillance of the Estes property and the use of a loudspeaker to harass and annoy Estes constitute[d] an invasion of privacy” and said that all had to go, too. The Gertzes appealed the trial court’s order, arguing that: (1) the trial court erred by applying the “spite fence” statute to them because they had obtained a local permit for the fence; and (2) the trial court erred by finding that the fence was unnecessary and that the public address system was used to make disparaging comments about the Estes family. The trial court was upheld in Gertz v. Estes, 879 N.E.2d 617 (Ind.Ct.App.2008), and the Indiana Supreme Court denied further review. The trial court found that cutting a foot off of the top of the fence didn’t comply with the prior order, because the fence’s height was only one of the factors making it a spite fence. 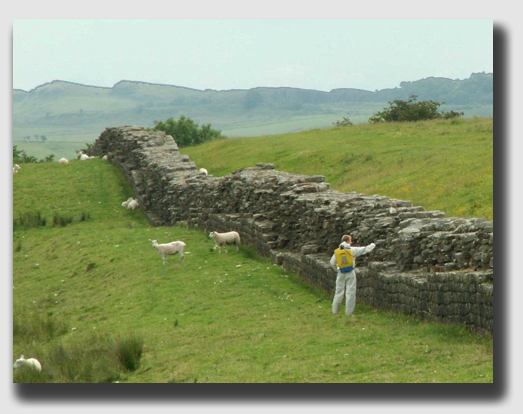 The trial court concluded that the “fence is, and remains, a nuisance.” The Gertses appealed. The Court held that the Gertzes were just asking for a mulligan. Their petition was really just a motion for relief from the 2008 judgment under Indiana Trial Rule 60(B), and that rule won’t serve as a substitute for a direct appeal. The Gertzes filed a direct appeal of the trial court’s order requiring them to remove the fence. Although the trial court’s remedy of removal of the fence was an issue available to them, they did not raise any argument on appeal about keeping the fence if they only reduced the height. What’s more, the trial judge’s order that they remove the fence was not based solely upon the height, but instead on a variety of factors. The appellate court held that the Gertzes showed nothing justifying the extraordinary remedy of modification of the trial court’s judgment. Posted on April 18, 2019 by treelawyer	tagged. 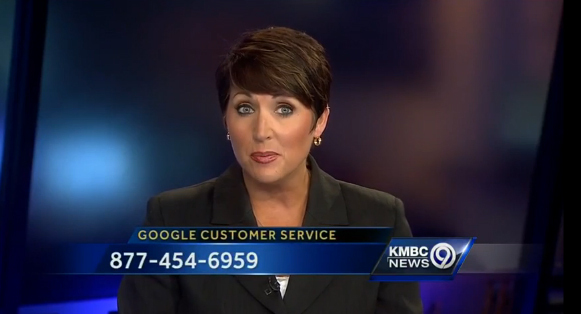 Would you rather have your insurance agent appear? Really? The Estes, like the rest of us, have probably seen those insipid commercials where the insurance-challenged protagonist sings a major insurance company’s jingle offkey, and his or her local agent magically appears. It never made much sense to us. 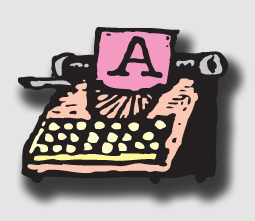 Meaning no disrespect to insurance – which after all is just a transaction in which you bet something bad’s gonna happen to you, and the insurance company bets it won’t – but if we could warble a stanza and have someone appear, it sure wouldn’t be an insurance agent. Back to our topic. An article we read about an Indianapolis man having his ear bitten off by his neighbor made us think about truly rotten neighbors, you know, the ones without community relations teams and emergency satisfaction 800 numbers. The Estes probably have less of an idea of what a good neighbor is than most people, except to suspect it sure isn’t the people next door to them, the Gertzes. The Gertzes are a little bit weird, and we don’t mean that in a good way. A dispute about a suburban boundary line ended up with the Gertzes training a battery of surveillance cameras on their former friends, the Estes. If that wasn’t enough, Mrs. Gertz began using a loudspeaker to hurl insults — rather graphic ones which left the court blushing — at the Estes daughters. And then there was the fence. Robert Frost said that good fences make good neighbors, but he hardly had this fence in mind: an 8-foot tall monstrosity painted orange and black, studded with thousands of protruding nails and large warnings against climbing and trespassing painted on the Estes’ side like so much gang graffiti. In fact, the whole thing looked rather more like the Berlin Wall come to Hebron, Indiana. The Estes sued under the “spite fence” statute. The Gertzes protested that they hadn’t built a spite fence, but rather just a modest enclosure to protect some delicate saplings they had planted, as well as to permit the raising of alpacas and llamas. After all, they didn’t want any errantly roaming cattle to gnaw on the young trees or, for that matter, to let the llamas and alpacas flee to return to South America. The Court wasn’t convinced. After all, the Gertzes’ permit application called the fence “residential,” not “agricultural.” Second, the fence didn’t enclose the young trees, making it useless as a cattle barrier. Finally, the cameras, the loudspeaker and the studded fence — not to mention the testimony of deteriorating relations between the plaintiff and defendant — made it clear to the Court that the fence was erected maliciously. 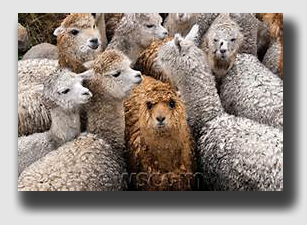 The Gertzes could hardly let their alpaca herd hotfoot it back to Bolivia, now, could they? The Gertzes also tried a creative technical argument that because a permit had been issued for the fence, the Indiana “spite fence” statute had been trumped by local approval. The Court noted that the permit was for a 7-foot fence, not the 8-foot plus fence the Gertzes had put up, and anyway, a local permit did not excuse compliance with the statute. So the court settled matters, and everyone kissed and made up. There was lemonade toasts all around, right? Lest you think that, stay tuned tomorrow for … [drum roll] … Gertz v. Estes, the sequel. Gertz v. Estes, 879 N.E.2d 617 (Ct.App. Ind., 2008). Oh, the neighbors from hell! David and Nichelle Gertz started out liking their neighbors, Douglas and Susan Estes, but that fell apart. David and Nichelle had multiple surveillance cameras trained on their neighbors — even when they purported to get along — but after the boundary line was disputed, things got so bad that the Estes notified the Gertzses that they intended to install a fence, but before they could do so, the Gertzses built one of their own. The Gertzses applied for and obtained a local permit to build a 7-foot high fence, but the final fence was 8 feet high, 720 feet long, and with thousands of nails protruding on the Estes’ side up to a half inch. The words “NO CLIMBING” and “NO TRESPASSING” were painted in orange and black on the middle horizontal slat, and two more cameras — for a total of seven surveillance cameras — were installed on top of the fence. The Gertzes also used a public address system to aggravate the Estes, including making “lewd comments” to the Estes’ daughters, which the Court blushingly refused to repeat in the opinion. The Gertzes called the sheriff at least eighteen times to report various activities of Douglas and Susan Estes. 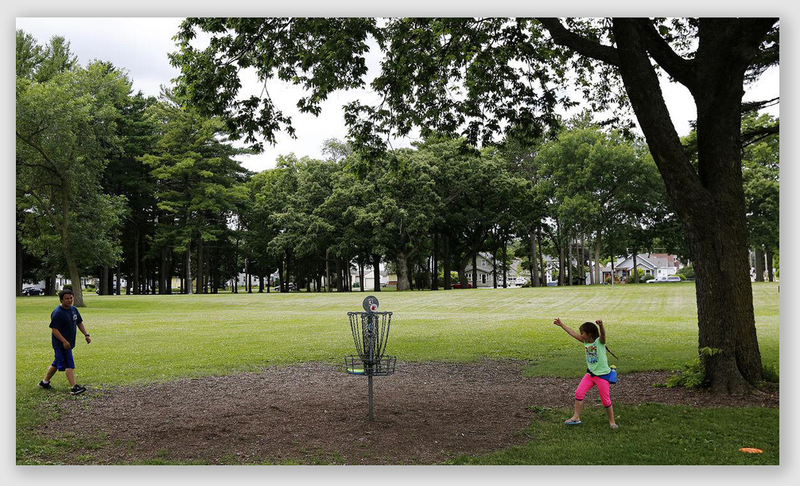 The Estes sued under Indiana’s “spite fence” statute for removal of the fence. The Gertzes testified that the fence was necessary to protect eighteen-inch tree seedlings they had planted. The fence did not enclose any area, but the Gertzes said they intended to enclose the fence at some point so that they could raise llamas, alpacas, or sheep. The trial court found that there was “no justifiable or necessary reason for the fence installed by [David and Nichelle] to exceed six (6) feet . . .” Furthermore, it found that “the fence was maliciously erected and now maintained for the purpose of annoying [Douglas and Susan].” The trial court ordered the fence removed, and the Gertzes appealed. Held: The fence had to go. The Court found that the evidence and the reasonable inferences drawn from it fully supported the trial court’s findings. As to the Gertzes’ defense that it was for agricultural purposes, the Court observed that their permit application indicated that the “use” of the fence was “residential” and the fence did not form an enclosure, making it useless for livestock. The Court said that the Gertzes’ conduct and the extraordinary nature of the fence overcame David’s assertion that the 8-foot fence was intended to protect eighteen-inch tree seedlings. Likewise, the fact that a local permit was granted to build a 7-foot wooden fence parallel to the property line did not trump the “spite fence” statute. That statute defines as a nuisance any fence unnecessarily exceeding a height of six feet and maliciously erected for purpose of annoying neighbors. This fence exceeded six feet unnecessarily, and clearly resulted from a deteriorating, antagonistic relationship between the Gertzes and their neighbors. The nails on fence protruding between quarter- and one-half inch from the fence and the surveillance cameras clearly supported the finding that the fence was built out of malice, and was therefore a nuisance. The Gertzes wisely didn’t challenge the trial court’s order that the PA system had to go, too. 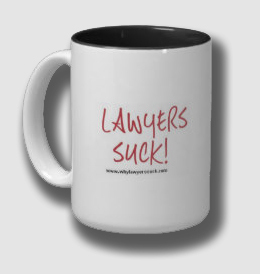 Posted on April 17, 2019 by treelawyer	tagged. Tal Mims owned a rental house. He also owned a landscaping company. So when Rosemary Stills, his tenant, called to say a tree had fallen on the house, who better to come over to clean up the mess that Tal’s landscaping crew? It seemed like perfect synergy. 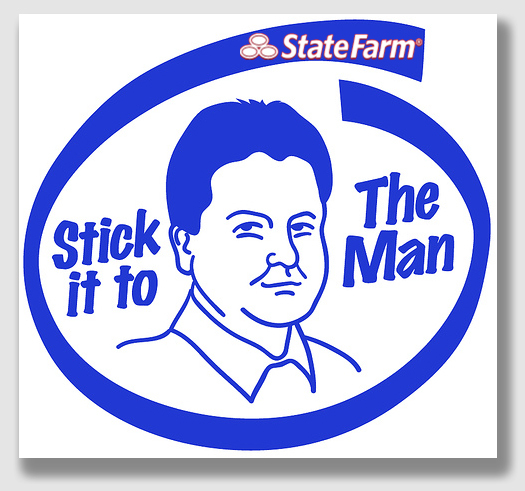 It also was a bit redolent of the 60s mantra, “stick it to the man.” That is, if the “man” in question is a State Farm agent. But things got worse. 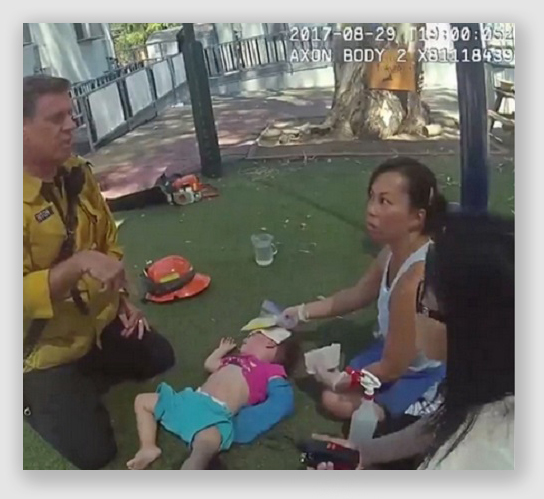 While the tree was being cut up, a large branch fell on the tenant’s son, breaking his leg. The tenant sued Tal, and then she added his homeowner’s insurance carrier as a defendant. Then both the plaintiff and the defendant Tal ganged up on the insurance company. The policy pretty plainly excluded bodily injury and property damage “arising out of the rental or holding for rental of any part of any premises by any insured” and “arising out of premises owned or rented to any insured, which is not an insured location.” But Tal and Rosemary argued that while the falling tree related to the rental property, the accident — which occurred while it was being cut up — did not. Tal Mims argued rather disingenuously that he was acting on his own behalf at the time of the accident and that he was not engaged in any business pursuit or employment. Here’s the problem, the Court said. While throttling insurance companies is something courts do fairly often, the companies still are free to limit coverage so long as the limitations do not conflict with statutory provisions or public policy. The business pursuits exclusion in a homeowner’s policy is intended to exclude risks that should be covered under different policies. Here, the Court said, the property on which the accident occurred was never listed in his homeowner’s policy, but instead happened on another piece of property that should have been covered by its own policy. Besides, the accident happened because Tal was removing a tree from the roof of the rental house. The Court guessed that if Tal had left the tree on the roof, it would have badly affected the value of the house. That being true, the Court said, this was pretty clearly a project related to a rental property, and pretty clearly excluded from the Tal’s insurance policy, a happy ending for common sense but not so happy for Tal and Rosemary, both of whom hoped State Farm’s deep pocket would solve their problems. Stills v. Mims, 973 So.2d 118 (La.App., 2007). Stills rented her home from Tal and Tommie Lee Mims. Tal operated a business named Tal’s Custom Landscaping, Inc. When a storm caused a tree to fall on the roof of the home. Stills informed Tal of the damage, and he came to remove the tree. In doing so, a limb fell from the roof onto the ground and injured Stills’ son, LeWilliam. Stills sued Tal and Tommie Lee Mims, and added State Farm as a defendant. She alleged State Farm had in effect at the time of the accident a policy covering the Mims’ actions. State Farm filed a motion for summary judgment asserting that the homeowner’s policy issued to Tal Mims was for his personal residence at 2508 Lindholm Street, and that State Farm never issued a policy for 604 Central Avenue, where the accident occurred. State Farm asserted that the liability and medical payments coverages provided in the policy excluded bodily injury and property damage “arising out of the rental or holding for rental of any part of any premises by any insured” and “arising out of premises owned or rented to any insured, which is not an insured location.” The trial court granted summary judgment in favor of State Farm, finding no coverage under the Mims’ homeowner’s policy. Both Stills and the Mims appealed. Held: The trial court’s dismissal of State Farm Insurance was upheld. Stills argued that her claim was based on the Mims’ negligence in cutting the tree down, and not on any property defect, making the insured location issue irrelevant. Both Stills and the Mims asserted that the business pursuit exclusion did not apply, because the Mims’ actions fell under the exception for activities ordinarily incident to non-business pursuits. Mims denied being in the business of renting homes. He claimed that he was acting on his own behalf at the time of the accident and that he was not engaged in any business pursuit or employment. The Court noted that insurance companies are free to limit coverage so long as the limitations do not conflict with statutory provisions or public policy. Exclusions must be strictly construed against the insurer with any ambiguities construed in favor of the insured. The insurer bears the burden of proving the applicability of an exclusion to a claimed loss. The Court said that the business pursuits exclusion in a homeowner’s policy is intended to exclude risks that should be covered under different policies. For example, the commercial risks of a business would typically be covered by a commercial liability policy, whereas the risks associated with a rental dwelling would typically be insured by rental property insurance. The removal of the risks associated with business enterprises or rental properties helps to lower the rates of homeowner’s insurance by eliminating non-essential coverages. Stills and the Mims argued that her claim did not arise from any business pursuit by the Mims, but rather, the claim was based on the Mims’ personal liability and involved activities that were ordinarily incident to non-business pursuits. They cited Blue Ridge Insurance Co. v. Newman — where the Court found that such a tree mishap was covered by a homeowners’ policy – in support of their position. But the Court said Blue Ridge was different. First, plaintiff Newman’s property on which the tree was located was insured under his homeowner’s policy. Here, the house leased by Stills was not insured under the Mims’ State Farm policy. The Mims were not seeking coverage for an accident that occurred on Tal’s insured residence, but instead, the Court held, he sought to have his homeowner’s insurance cover an incident that occurred on an unrelated rental location that should have been insured by some other policy. The very purpose behind the business pursuits exclusion, the Court said, supported a finding of no coverage. Second, in Newman, the defendant’s property had been his family’s home since 1965, and had only been rented to a friend for less than a year prior to when the accident occurred. In Tal Mims’ case, there was no indication that the Stills residence was anything other than a rental property. Third, Newman’s house was vacant when the tree fell, whereas Stills and her son were residing in the Central Avenue home when the tree fell on it. Fourth, the damage in Blue Ridge arose when the tree from Newman’s property fell on a neighboring property. Here, the existence of the tree on the property and its falling during the storm did not cause the damage. Instead, young LeWilliam’s injury arose from Mims’ removal of the tree from the roof of the rental dwelling. Finally, the Blue Ridge court’s major consideration was that the mere existence of the tree on the property had no bearing on the use of the property- as a rental. 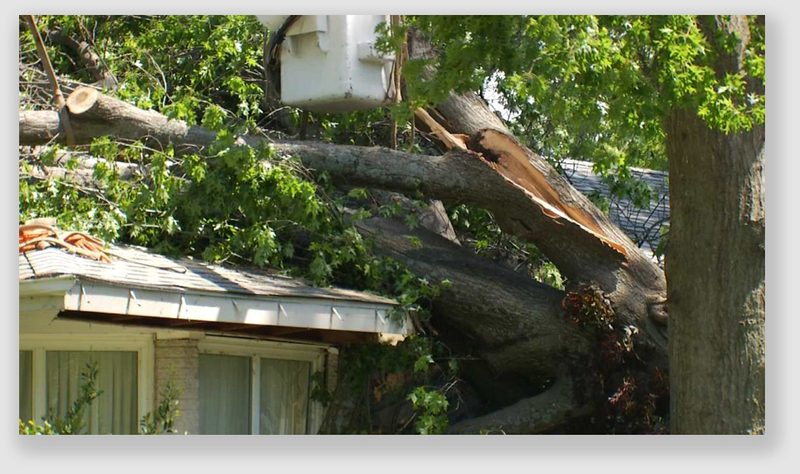 The fact that a tree fell on the roof of the rental home in this case, particularly if left there, would likely affect the suitability of Stills’ rental dwelling. While the existence, or maintenance, of a tree on Newman’s family property was an activity usually incident to non-business pursuits, Mal Mims’ removal of a fallen tree from the roof of a rental dwelling by Stills was clearly not. Pretty clever argument, the Court conceded – but State Farm was not liable. 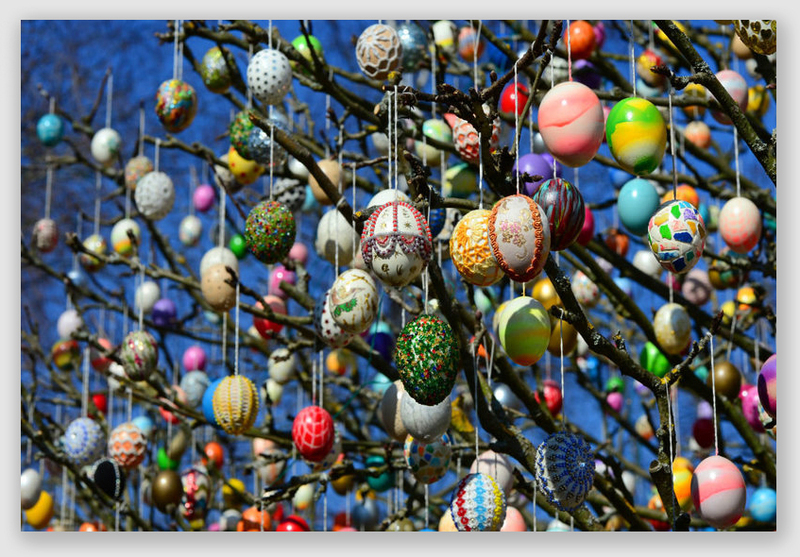 Posted on April 16, 2019 by treelawyer	tagged. Meanwhile, those fun-loving Murrells of Rolling Hills, California, are back for an encore performance! The couple’s quixotic effort to hold their condo association liable for all sorts of alleged backroom dealing and breach of trust in cutting down their trees to improve the view of their neighbors, the Fullers, was covered in the Case of the Day for Monday, April 15, 2019 (funny, it seems like only yesterday). Lest you think that decision was the end of the saga, I now bring you Murrell II, the Very Expensive Sequel. If you’re the kind of person who remembers what kind of mayo you had on your sandwich at lunch a week ago last Thursday (J&D’s Baconnaise), you’ll recall that the Rolling Hills Community Association held an easement across the Murrell’s’ property for “[r]oads, streets, or bridle trails, parkways and park areas[, p]oles, wires and conduits for the transmission of electricity…; [p]ublic and private sewers, storm water drains, land drains, and pipes, water systems, water, heating and gas mains or pipes; and … [a]ny other method of conducting and performing any public or quasi-public utility service or function on, over and under the surface of the ground.” The easement gave the Association the right to trim or cut trees within its limits. The Fullers, whose view of the ocean was obscured by the Murrells’ trees, convinced the RHCA to trim back some of the Murrells’ trees and whack down a few others, so that they could enjoy the million-dollar vista they had paid for when they bought their place. That’s “long story short.” The actual history of the tortured litigation and thundering herd of parties is byzantine with a small “b”, and is amply (if not completely) recounted in the full opinion. The Murrells ended up suing the Fullers, the RHCA, and an individual member of the RHCA board (who was seemingly picked at random). There were counterclaims and crossclaims. When the 2007 dust settled, the board member was dismissed, and judgments or pieces of judgments were rendered against the RHCA and the Murrells. Board member Donald Crocker was held not to have breached any duty. And a judge ordered the Murrells to pay more than $700,000 in legal fees for the Fullers and RHCA. And Chinese viewers thought that it was confusing missing the White Walkers’ message in the new Game of Thrones! Naturally, everyone appealed. And that brings us to today’s 2011 decision. Recollect that the Murrells argued the RHCA had no right to cut down trees to improve someone else’s view. In today’s case, they added the argument that the community association should have been equitably estopped from cutting down the trees because it had approved the Murrells’ construction of an addition to their home with a wall of windows, and the Fullers had not objected. Both parties, the Murrells contended, had lulled them into building something that depended on their trees for privacy, and the defendants could not fairly be allowed to strip their privacy away by cutting down those trees, even if it otherwise had the legal right to do so. 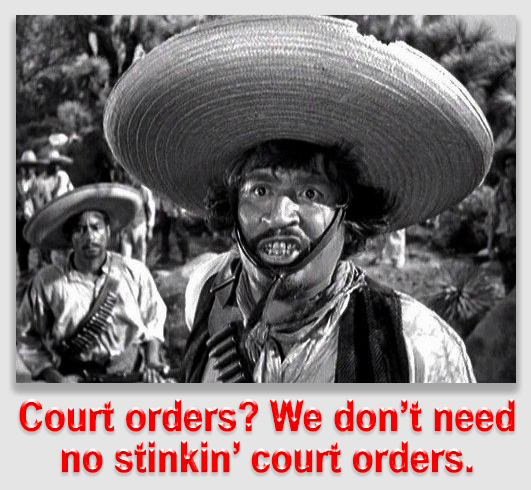 The Court of Appeals made short work of the Murrells’ latest lament. First, it concluded that the easement let the RHCA cut down trees for any reason it liked. As for the “equitable estoppel” argument, the judges held that “[t]he Murrells fail to cite pertinent authority that RHCA should be estopped from removing a tree on its easement because of the Murrells’ addition plans.” The decision was not elegant, but then, the Court pretty clearly thought the argument was so foolish as to not deserve much analysis. Much of the remainder of the decision is dedicated to the Murrells’ complaints about how much they were forced to pay for the RHCA’s and Fullers’ attorneys. The lengthy recitation is mind numbing (unless you happen to be a lawyer, in which case $250.00 an hour for a second-year associate who carries your briefcase is a “feel good” story). The Murrells ended up winning $30,000 from RHCA and nothing from the Fullers. It cost them $500,000 in legal fees for themselves and another $492,000 in the defendants’ legal fees, all to fight for their recently departed Aleppo pine tree. “Another such victory and I am undone!” King Pyrrhus is reputed to have said. So could the Merrills. At the same time, most of us find it difficult to imagine being able to drop $1.6 million on a legal battle over some trimmed trees. Murrell v. Rolling Hills Community Association, Case No. B202019, 2011 Cal. App. Unpub. LEXIS 772 (Ct.App. Cal., Jan. 31, 2011). A contentious and costly feud over trees and a neighbor’s view has spawned multiple legal actions, cross-actions, five appeals and two cross-appeals. To obtain an unobstructed ocean view, the Fullers wanted certain trees on “the Murrell property” trimmed or removed. The Murrells, who sought to preserve privacy, resisted. So began a decade-plus dispute. After many attempts to mediate, the case went to trial in 2007. The Fullers obtained judgment in full against the Murrells in the amount of $10,000, and the Murrells obtained judgment in the amount of $30,000 against RHCA on RHCA’s breach of its covenants, conditions and restrictions (CC&Rs) and breach of fiduciary duty. The Murrells incurred $892,000 in attorney fees. They were awarded $400,000 as attorney fees against RHCA but were ordered to pay $159,000 as attorney fees to RHCA on a separate claim and $334,000 as attorney fees to the Fullers. The Murrells claimed the CC&Rs did not authorize RHCA to “trim, top and/or remove trees and foliage on the Murrell property” for the purpose of providing the Fullers with an ocean view. 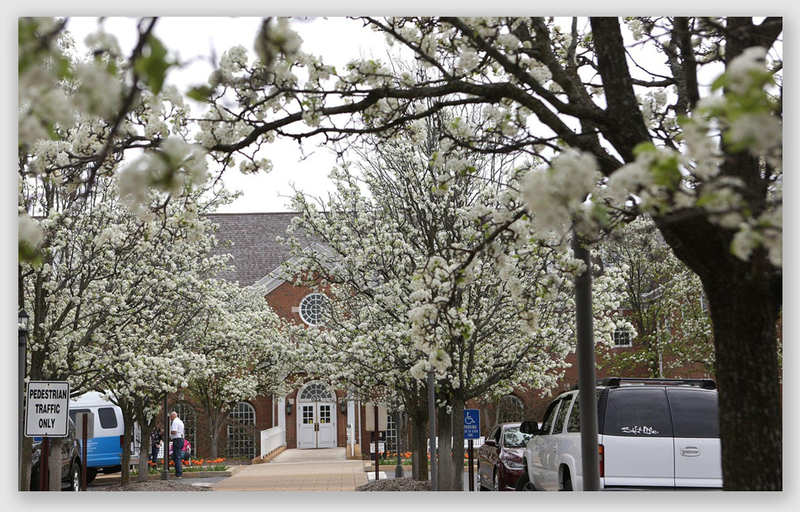 The Fullers sued in turn for injunctive and declaratory relief that they had the right to have the trees cut or trimmed. The Murrells also sued RHCA for breach of the CC&Rs, breach of fiduciary duty, trespass, and conversion, alleging that by going onto the Murrell property and removing a pine tree in order to benefit the Fullers’ view at the expense of the Murrells’ privacy, RHCA acted contrary to the CC&Rs and its fiduciary duty to act in good faith and fair dealing. In so doing, the Murrells claimed RHCA violated the CC&Rs because they did not empower RHCA “to remove trees in the easement on the Murrell property for any reason unrelated to the express and implied purposes of the easement, which are the creation of and maintenance of roads, bridle trails, utilities, parkways, park areas, above ground poles, wires and conduits as well as sewers, drains, pipes and below ground conduits.” denied the complaint’s material allegations and pleaded 17 affirmative defenses. The trial court granted summary judgment to the RHCA. The Murrells contended summary judgment was improper on the grounds that neither RHCA nor the trial court addressed their equitable estoppel claim. The Murrells argued the CC&Rs cannot be interpreted to authorize RHCA to remove the pine tree, which was on RHCA’s easement, for the purpose of enhancing the Fullers’ view. They further argued that even if such authority existed, questions of fact existed regarding whether RHCA complied with its fiduciary duty to the Murrells in light of expert evidence that removal of the pine tree was unnecessary to improve the Fullers’ view. Stormy Daniels probably wasn’t smiling when she was told to pay the President’s legal fees – reportedly $840 an hour for one attorney – and it’s a cinch the Murrells weren’t grinning at what they owed for the Association’s lawyer’s bill, either. The Murrells argued RHCA was estopped from asserting any right to remove the pine tree for the reason RHCA and the Fullers did not complain to the Murrells about their plans to construct an addition to their residence involving floor to ceiling windows, and in reliance on this “silence, ” the Murrells constructed this addition with the expectation that their “foliage and mature trees[, including the pine tree ]” would preserve their privacy.” The Court held that the Murrells failed to cite pertinent authority that RHCA should be estopped from removing a tree on its easement because of their addition plans. The estoppel argument failed. The Court said that the “language of the CC&Rs governs if it is clear and explicit, and we interpret the words in their ordinary and popular sense unless a contrary intent is shown.” The Court interpreted the CC&Rs “to make them lawful, operative, definite, reasonable and capable of being carried into effect, and [to] avoid an interpretation that would make them harsh, unjust or inequitable.” Here, it was uncontroverted that the Murrell property is burdened by an easement in favor of RHCA and that the pine tree was located on this easement portion of that property. RHCA had the right to remove trees located on that portion of the Murrell property burdened by its easement. The Court said that the unambiguous language of the CC&Rs in the phrase “in or along any easements” referred to the physical location of the tree which RHCA is authorized to remove rather than to any particular qualifying reason for its removal, for example, solely for an easement use or purpose. Thus, the fact that enhancing a member’s view is not an enumerated easement use is inconsequential. Posted on April 15, 2019 by treelawyer	tagged. 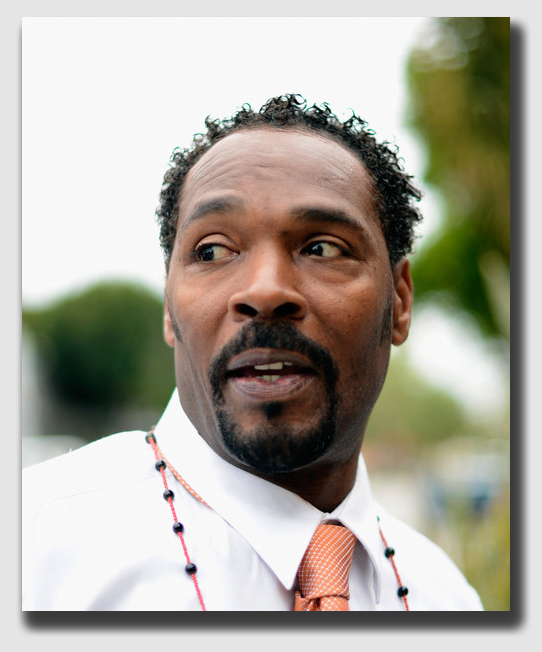 Rodney King (1965-2012), whose DUI stop turned into a beating at the hands of the police, making him both an unwitting symbol of racial injustice and a plainspoken advocate for understanding. From California, the land of pleasant living… we take you to a war zone. Compton? South LA? No, it’s the City of Rolling Hills, California, perched on the Rancho Palos Verde peninsula, a place where poverty – which in includes anyone driving a vehicle worth less than a hundred grand – appears to have been banned. It’s unlikely the late Rodney King would have lived here. Amid its 23 miles of horse trails, the 690 homes and the 26 miles of roads, the people in Rolling Hills apparently cannot. The Fullers made it a habit to complain about the Murrells’ trees because it spoiled their view (something people on Rodney’s side of town probably didn’t worry much about). The Murrells kept trying to get along, acceding to trim job after trim job, until they had finally had enough. But they didn’t sue the Fullers. Instead, they sued the Rolling Hills board of directors, and specifically Donald Crocker, for having caved in to years and years of the Fullers’ fulminations about the trees. Naturally, Mr. Crocker, who was a volunteer board member, didn’t much like being sued. After all, he said, he was just doing his job. And the Court agreed. 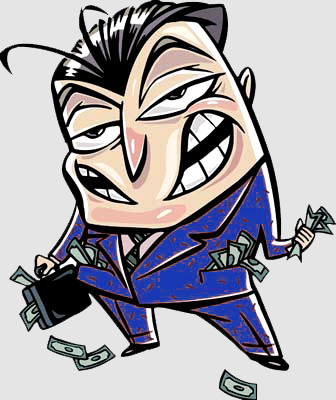 In California, as is the case in many places, directors of corporations, for-profit and not-for-profit alike, are protected by a “business judgment rule.” The rules shields directors from liability when they have acted in good faith, haven’t engaged in self-dealing and have acted on an informed basis. (Note: the “business judgment rule” varies from state to state, and can be rather nuanced. You should not assume that the application of the “business judgment rule” in this case represents what would happen in your own state). Besides, the Court said, the Murrells shouldn’t be allowed to benefit after leading the Board and everyone else to believe that year after year they were agreeing – however reluctantly ­­– to the tree trimming, and only when they reached the breaking point, did they decide sue for everything that had ever happened. Sgt. 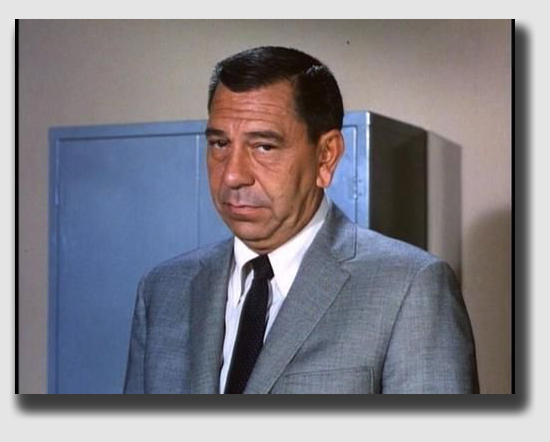 Joe Friday, the iconic LA cop. Joe would not have approved of the Rodney King beating, but he would have used the Murrells’ prior acquiescence against them, just as the court did. There are a couple of morals here. One is that if you just try to get along, your efforts to do so “can and will be used against you in a court of law,” as Sgt. Joe Friday liked to tell defendants. The second, and more basic moral, sadly enough, is that turning the other cheek in Rolling Hills is just an invitation to your neighbor to smite you on that one, too. Sorry, Rodney. Guess we can’t “just get along.” That’s why there are lawyers and courts. Murrell v. Crocker, Not Reported in Cal.Rptr.3d, 2007 Cal. App. Unpub. LEXIS 5321, 2007 WL 1839478 (Cal. App. 2 Dist., June 28, 2007). The Murrells and Fullers are neighbors in Rolling Hills, California. They are members of the Rolling Hills Community Association, a nonprofit cooperative corporation governed by a five-member board of directors, one of whom is Mr. Crocker. A governing document called the CC&R sets out the rights and obligations among the RHCA, the Murrells and the Fullers. According to the CC&R, in order to improve the view and to protect adjoining property, the RHCA has the authority to cut back or trim trees and shrubs on a member’s property. The RHCA also has a 10-foot wide easement along the boundary of each lot in which it has the right to remove trees or shrubs. 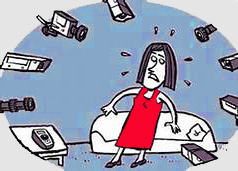 In 1997, the RHCA passed a resolution establishing procedures for maintaining and improving views. At that time, the Fullers demanded that the Murrells remove foliage to create a view for the Fullers. To be good neighbors and to avoid a dispute, the Murrells did so. In 2000, the Fullers brought a view complaint to the RHCA, which “caused the removal” of five trees and the trimming of an additional 12 trees on the Murrell property. In 2002, the Board adopted yet another resolution, which contained more detailed procedures to maintain and improve views. The next year, the Fullers submitted a second view complaint to the RHCA, which recommended that two of the Murrells’ trees be trimmed. The Murrells did so, but the Fullers complained that the trees were not trimmed enough, and in 2004 the Board ordered that a pine in the RHCA easement be removed and that other trees not on the easement be severely trimmed. Finally the Murrells had had enough. They sued Crocker and the RHCA Board for taking actions inconsistent with their fiduciary duties and the CC&Rs, including failing or refusing to inform other Board members that the CC&Rs did not permit the removal of trees or other plantings from the portion of the Murrells’ property outside of the easement; adopting resolutions inconsistent with the powers granted to the RHCA under the CC&Rs; letting the Fullers pretty much call the shots, and trimming of trees so that the trees would not grow back for three or four years. The trial court dismissed Crocker as a party. The Murrells appealed. 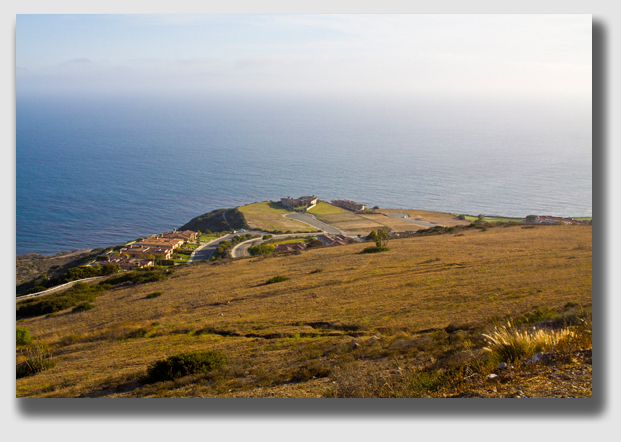 The Palos Verde peninsula offers stunning vistas of the Pacific Ocean, when the neighbors’ trees aren’t in the way. Held: Crocker was dismissed as a party. The Court noted that under California law, directors of nonprofit corporations, such as a homeowners association, are fiduciaries who are required to exercise their powers in accordance with the duties imposed by the Corporations Code. A director fulfills his duty to a member of the association by strictly enforcing the provisions of the CC&Rs but has no fiduciary duty to exercise his discretion one way or the other with regard to a member so long as the director’s conduct conforms to the standard set out in § 7231 of the Corporations Code. That section of the law sets out the standard of care for directors of nonprofit corporations, known as “California’s statutory business judgment rule,” providing that a “director shall perform the duties of a director … in good faith, in a manner such director believes to be in the best interests of the corporation and with such care, including reasonable inquiry, as an ordinarily prudent person in a like position would use in similar circumstances.” In performing such duties, a director “shall be entitled to rely on information, opinions, reports or statements … prepared or presented by … one or more officers or employees of the corporation whom the director believes to be reliable and competent in the matters presented; counsel … or a committee of the board upon which the director does not serve … so long as, in any such case, the director acts in good faith, after reasonable inquiry when the need therefore is indicated by the circumstances and without knowledge that would cause such reliance to be unwarranted.” A person who performs the duties of a director according to the rule has no liability based upon any alleged failure to discharge his or her obligations as a director. Here, Crocker provided a declaration that he performed his duties in connection with both view complaints in good faith and with due care within the meaning of the rule, and the Murrells had no evidence to the contrary. The Court found that Crocker’s only involvement with the Murrells or the Fullers has been in public meetings of the RHCA or in officially sanctioned trips to their property, that he has no personal relationship with either the Murrells or the Fullers and had no personal interest in the outcome of their dispute, that Crocker was not the “primary driving force” behind the alleged improper treatment of the Murrells, that the votes were unanimous in all Board actions regarding the Murrells and the Fullers, and that he did not knowingly or with reckless disregard for the truth take any action, or encourage any other Board member, to take any action inconsistent with a Board member’s fiduciary duties or the CC&Rs. The Court also noted that the Murrells had admitted that they engaged in conduct leading Crocker and the RHCA to believe that the Fullers and the Murrells had come to agreements involving the removal and trimming of the trees. The Court held that because there was no reason for Crocker to suspect that the Murrells were laboring under any mistake as to their legal rights, there was no duty for him to make any disclosures on the point. Any unexpressed position on the part of the Murrells concerning the view complaints did not, the Court said, create an issue of fact as to Crocker’s good faith compliance with his duties.